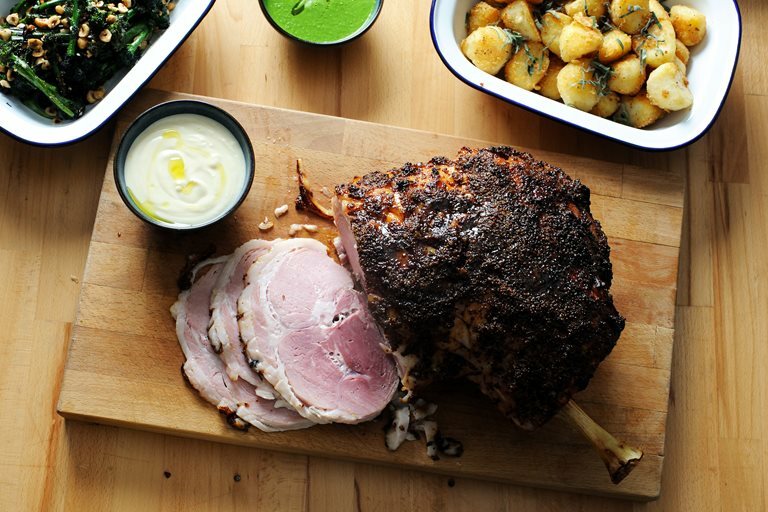 Josh Eggleton's roast ham recipe with all the trimmings is a true feast fit for any table. This wonderful Christmas main is served with delicious seasonal vegetables, parsley sauce and topped off with a delicious gluten-free bread sauce, a great alternative to the traditional version and perfect for those guests who are gluten intolerant. This is truly a centrepiece dish you will want to return to for family celebrations again and again.